Host a summer club for kids! 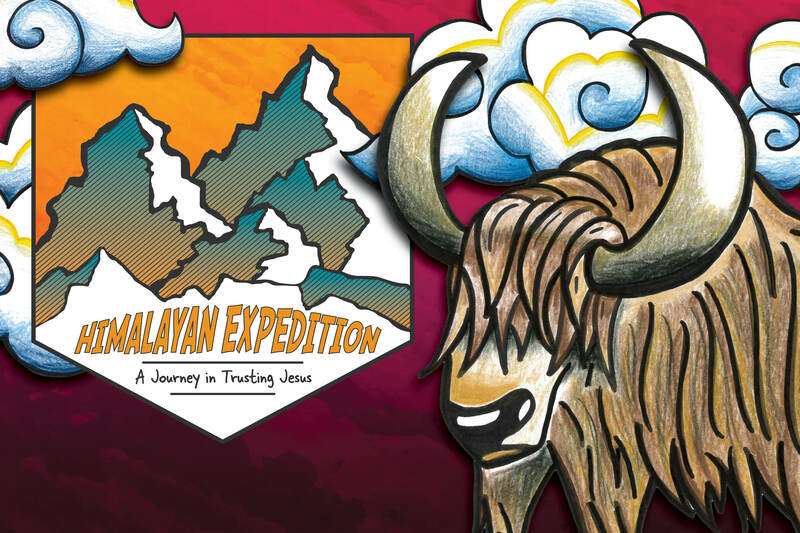 We’ll “visit” the Himalayan mountain region with the kids. Click here to learn more. Around the globe, children in Good News Club hear the Good News about Jesus and are discipled in the Word of God. But it’s illegal to share the Gospel in North Korea. 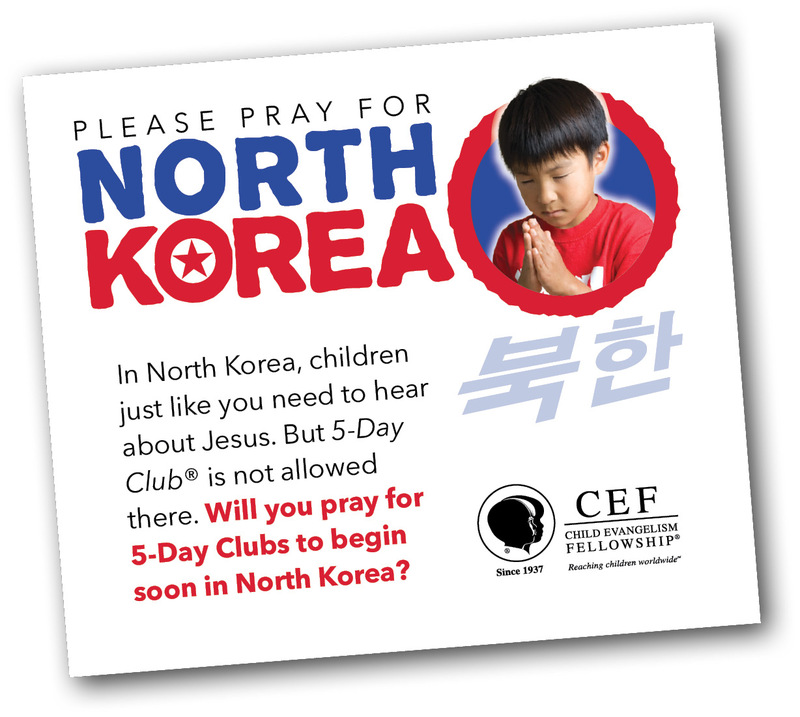 Child Evangelism Fellowship is asking children worldwide to pray God will make a way for boys and girls in North Korea to learn about Jesus through Good News Club. Jesus said, “Let the little children come to me and do not hinder them, for to such belongs the kingdom of heaven” (Matthew 19:14). 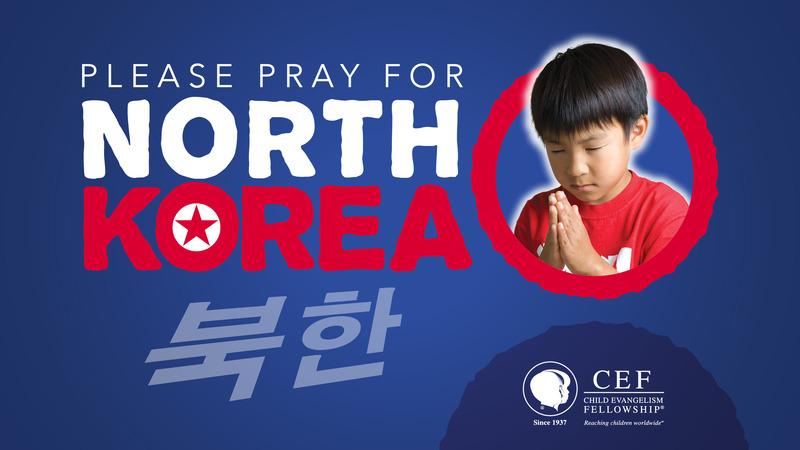 Will you pray and help get millions of boys and girls to pray for the children of North Korea? Remember, this is about prayer, not politics. Put a card in the hands of children at Good News Club, 5-Day Club, in churches and other places. Click here to download printable cards to hand out to children in English and French. Contact us to order bracelets and cards to hand out to children. To read stories of God at work around the world, you can read the latest issue of Impact Magazine by clicking here. Click here to sign up to receive our news and announcements.